What should happen? The LibreOffice Writer in the launcher should get the mark that running applications get. Checking further, I see that a grey icon is added to the launcher with a question mark, which shows as "LibreOffic Small Device Format Importer" when hovered with the mouse. 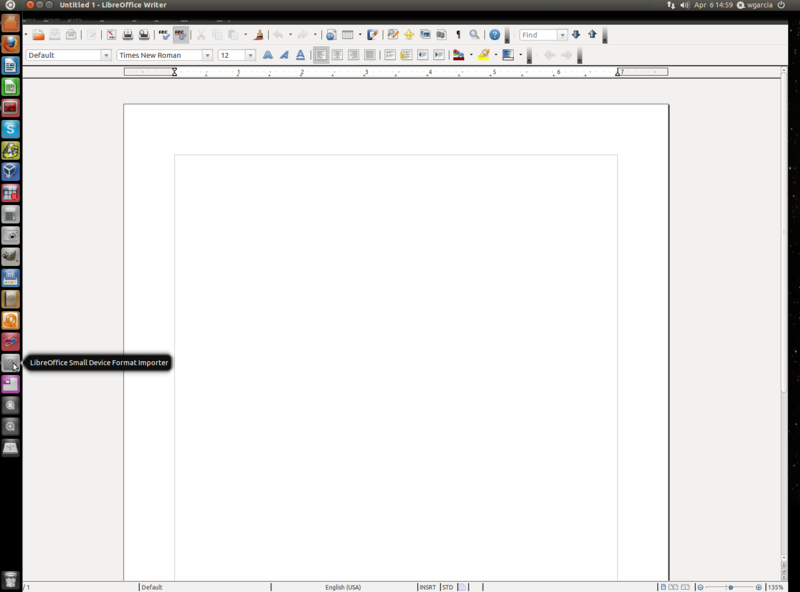 The main LibreOffice Writer Icon is not marked as running. I am unable to reproduce this bug. 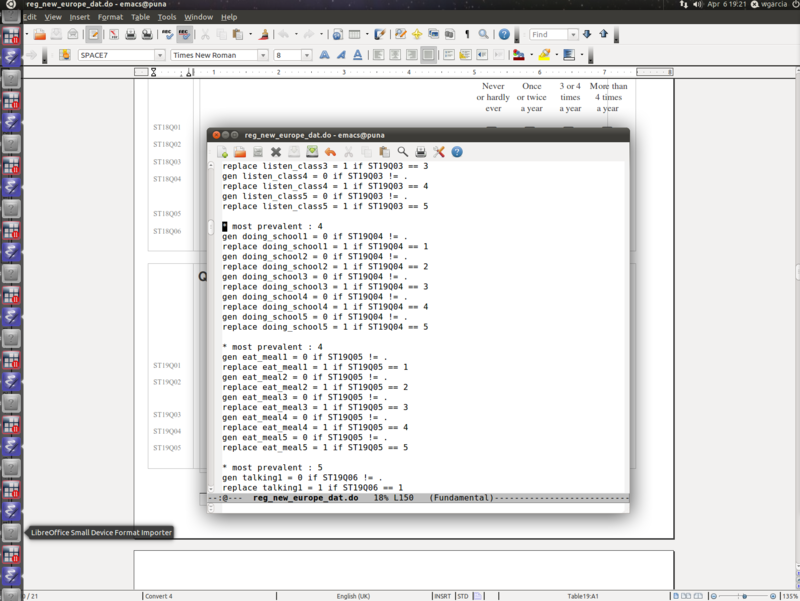 Bamf handles libreoffice windows matching stuff properly. Can you ensure whether your system is updated to the latest? Thanks Bilal. Yes, I'm fully updated in Natty and getting this in two different systems. I should add that I have the Unity launcher to "Dodge active window", I don't know if this matters. I attach a screenshot just in case it helps. As you can see the LibreOffice normal icon does not get marked despite it is running, and I get the extra icon that I mention further down. Today I got another bug in the launcher that seems related to this same problem. Check the screenshot, whenever I wanted to click on the launcher to get back to an emacs windows or to another application that I had opened (the commercial application stata) another icon was created in the launcher but the corresponding window would not open. - bamf does not provide the g_io_module_query hook; therefore gio-querymodules does not add it to giomodule.cache. - the other gio interface that probes directories, g_io_modules_load_all_in_directory(), takes a directory name so something calling this could fail to know about the multiarch directories; but so far I don't see where this code would be called from to cause this problem (it's not called in bamf itself). - manually adding libgiobamf.so to giomodule.cache is reported to correct the problem. - moving libgiobamf.so back to /usr/lib/gio/modules is *also* reported to correct the problem. So I don't think we have a good understanding of why this doesn't work as-is. For the time being, the simplest solution is to adjust bamf to move the library back to /usr/lib/gio/modules as a workaround. I still experience the same issue even after installing the latest updates. I can confirm that I am also seeing this issue. It only seems to be for Writer though, not any of the other LO apps. It has been only for Writer for me, for all the other applications the Unity launcher works OK. But it also happens with another commercial application that I use (Stata).